This solid industrial vintage oak workbench console table would look great in a country home or as a table in a contemporary environment. 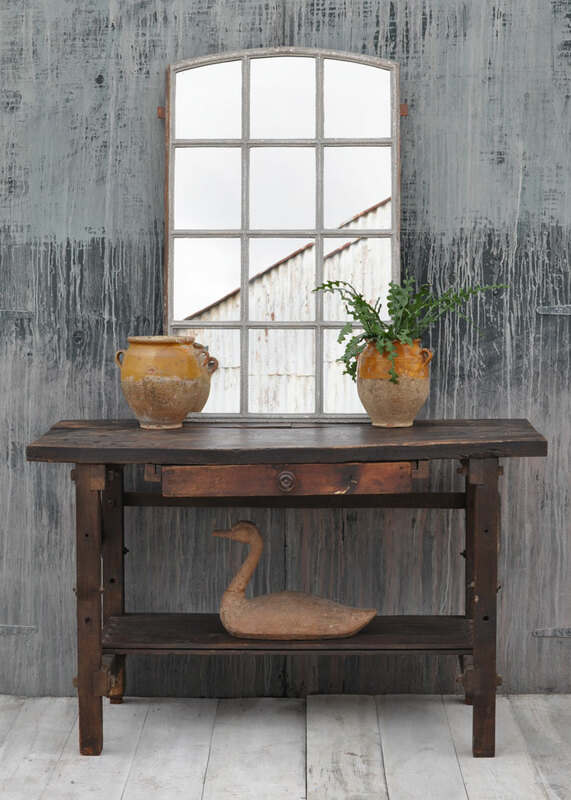 Along with one of Home Barn’s industrial warehouse mirrors or vintage mirrors it would be fantastic in a large space. 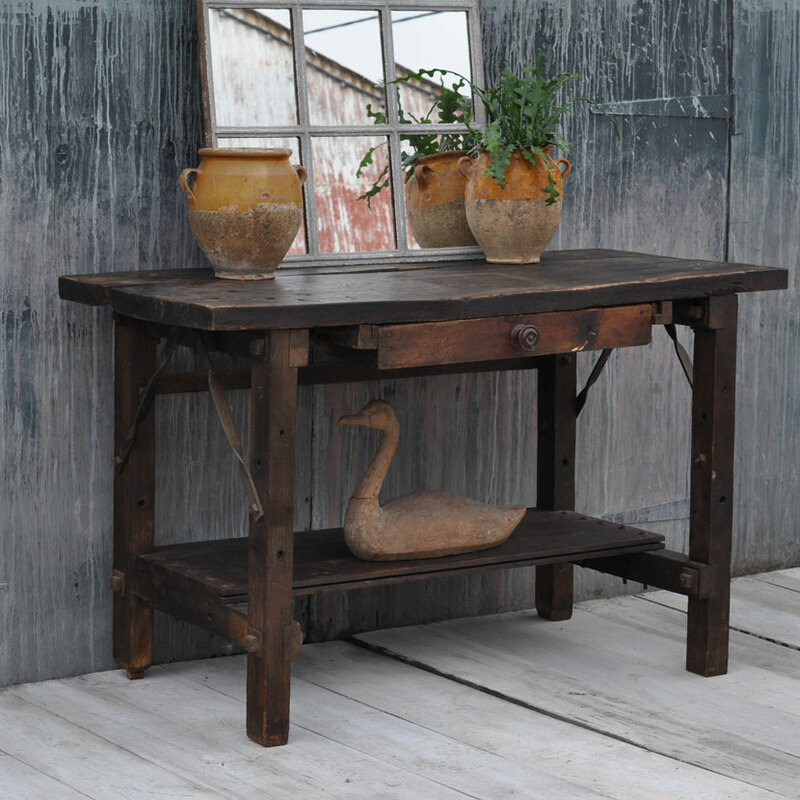 This unique industrial vintage oak workbench console table is made of solid oak. 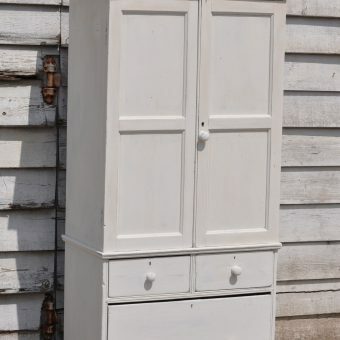 It has a lovely dark wax finish with all the signs of wear and tear you would expect from a piece of this age. 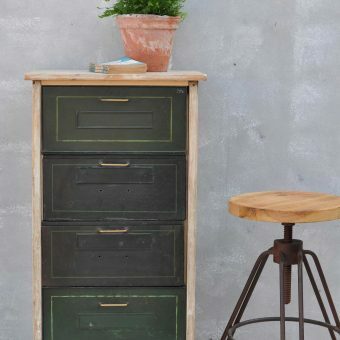 There are original metal straps and hardware on this industrial vintage oak workbench console table, with a single drawer. Although lovely, please don’t expect this item to be in perfect condition, it has the marks to prove it was a useful piece. 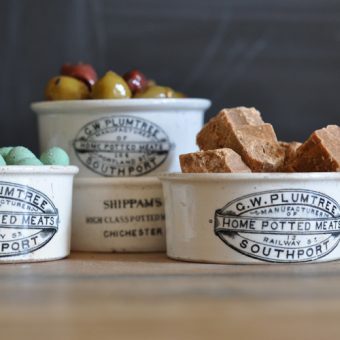 Dating from roughly the 1940’s, it would be fantastic as a shop display counter or as a work surface for crafts. 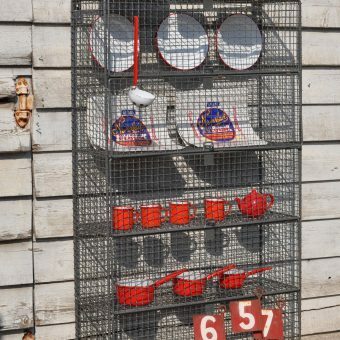 It would look great with a large mirror in a big space or as a stand-alone piece to bring a touch of the industrial to your home. 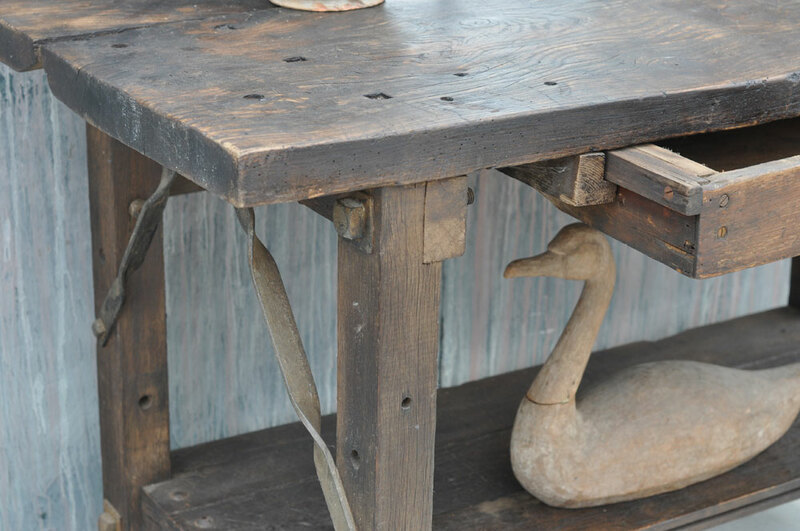 Home Barn’s industrial vintage oak workbench console table is a heavy item as you would expect, and so will need a special delivery. It would like a quote, please contact us with your full address and postcode and we will come back to you as soon as possible. 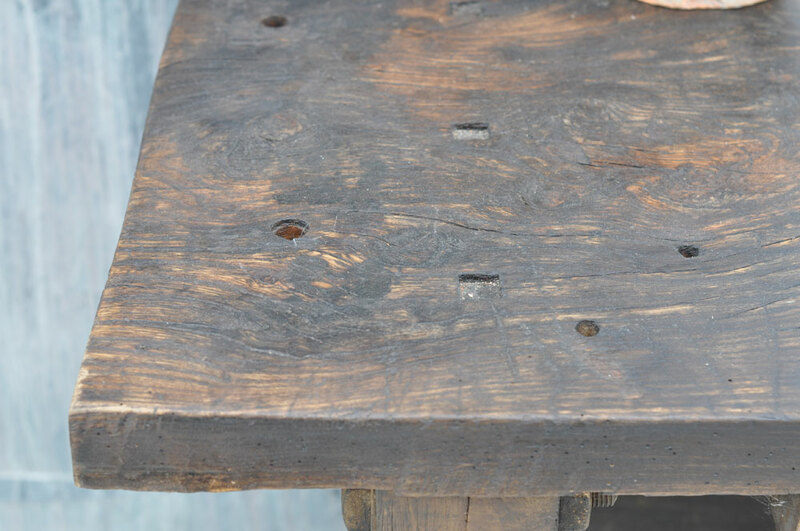 SKU: Large dark table with shelf underneath Tags: homebarn, industrial, table, vintage, work bench, workbench.